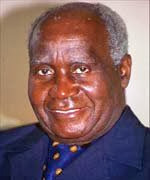 FIRST Republican President Kenneth Kaunda, who was recently admitted to the University Teaching Hospital (UTH) days after the death of his wife, Betty, has continued to recover steadily. His spokesperson Sunday Musonda confirmed the development in an interview in Lusaka yesterday. "He's doing well. In fact he's far much better now," he said.